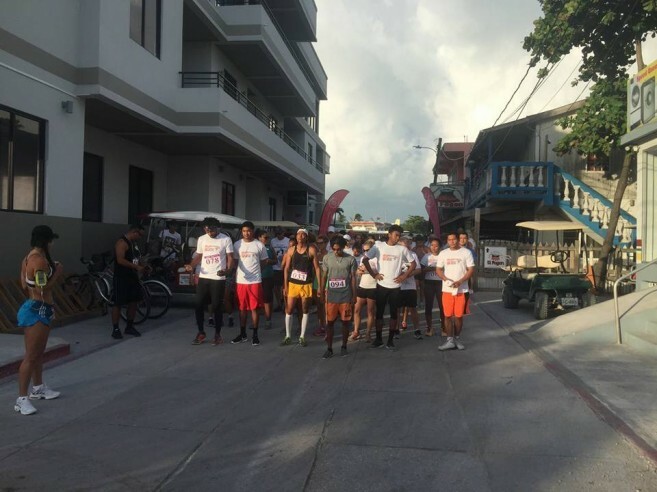 In an effort to further raise Cancer awareness and show solidarity with those affected by the disease, Belize Fitness held its first annual 5k ‘Cancer Run,’ on Saturday, July 1st. Over a hundred participants joined celebrity runners Nicole Amato, Tatiana Girardi and Holly Barker at the Sancas Plaza at 6AM. The designated route went all the way to the Northern Ambergris Caye Police Booth and back to the start line. For a $20 registration fee participants not only helped to spread awareness but also raised funds for the San Pedro Cancer Society. Runners were provided with a number, a dry fit shirt, breakfast, and drinks. At the end of the run, four top participants were awarded in four categories. Runners competed for prizes in the Under 30, and Over 30 categories for both male and female. There were participants who also walked or ran, for the worthy cause. In the male Under 30 division, Amir Ramos emerged as the top runner with a total time of 21:10. In the Over 30 male category, it was Ryan Bowden who finished first. In the female division, taking the top prize for the Under 30 was Mandy Castro with a total time of 24 minutes, while Jamie Lee Usher won the Over 30 category. The top winners were awarded with $150 cash. All other participants in the top ten were awarded gift bags provided by Santiago Castillo Limited and Seven Seas. There were also an additional 60 bags given away to participants containing Vitamin C, B Complex Vitamins, Protein Packets and pre –workout energy packets. Representatives from the Washington University of Health and Science in San Pedro Town provided free Body Mass Index tests for participants. 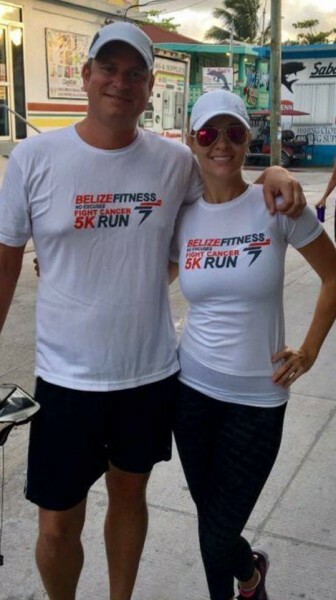 An after event then took place at Belize Fitness at the Sancas Plaza, where everyone was treated to fruit bowls, protein shakes, and water. The run was declared a grand success, and a bigger and better one is already on plans for next year. Congratulations to all winners and participants!